Quality dining in the historic old town of Bridlington. Whether you fancy delicious grilled steak, locally caught sea bass or a traditional Sunday lunch you can be sure there's something for you at Burlingtons. Check out Burlingtons fantastic range of food through our menu section above. You will find an excellent variety of different options from our ever changing a la carte menu, right through to our great value Early Bear specials. We went for valentines night. Absoloutely gorgeous. The food was lovely, perfectly cooked with a choice of homemade deserts. Staff very friendly and made us feel very welcome. Because it was valentines we got a free glass of champagne and a box of chocolates. Perfect. Will definitely be going again. Set in the heart of the historic old town of Bridlington, Burlington's is a husband and wife run restaurant, which has been open since 1990. 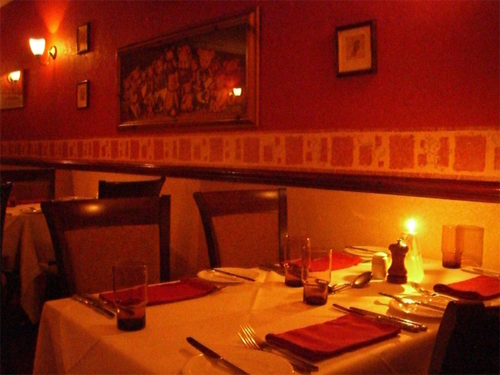 To find out more about us and the restaurant, check out our About Us page!